Targeting a wider range of vinyl enthusiasts, Luxman America today introduced the PD-151 belt-drive turntable. Luxman based the new analog player on the company’s highly regarded PD-171A, which was introduced in 2014 and continues in the line. “As enthusiasm for vinyl surges, the PD-151 is poised to introduce Luxman turntables to even more music lovers,” said Jeff Sigmund, president. 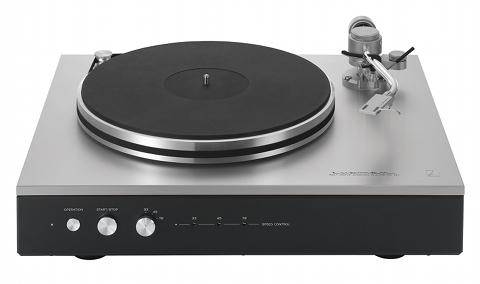 The PD-151 incorporates a new DC brushless motor and its features include three speeds with independent pitch adjustment; massive, anti-resonant construction with 10 mm thick aluminum top plate and 4 kg platter; high-precision Jelco tonearm; oxygen-free copper wiring; magnesium alloy headshell and a detachable IEC power cord. Optional accessories include a dust cover and a second tonearm counterweight. According to the press release, Luxman engineers have gone to extraordinary lengths to maintain precise platter speed. It starts with the company’s unique sine wave/Pulse Width Modulation power supply, which provides ultra-stable direct current to the new DC brushless motor. This high-torque motor continually monitors and maintains speed with a sophisticated Proportional-Integral-Derivative (PID) feedback control loop. The motor drives the outside flange of the platter through an uncommonly wide belt, identical to the belt of the PD-171A. The final guarantor of rotational stability is the 4 kg (8.8 pound) platter itself which acts as a flywheel with extremely high moment of inertia and is meticulously finished with a diamond-cut surface. A platter this heavy requires bearings capable of sustaining extremely high pressure. Luxman engineers specified Polyether-Ether-Ketone (PEEK) thrust bearings and brass radial bearings for effortlessly smooth rotation and long life. Conservatively rated, wow & flutter is less than 0.04%, weighted RMS, the company states. Vibration control includes large, independently adjusted rubber isolation feet, a 10mm machined aluminum top plate and an underslung chassis. Inside the player, rubber damping mounts isolate the chassis from two additional sources of potential vibration: the motor and power transformer. The tonearm comes from Jelco and is a static balanced, S-shaped, 7-inch design, with a one-point-cross suspension of extremely low friction. The headshell, tonearm and output cables all feature oxygen-free copper wiring. Overall length is 229 mm while effective length is 214 mm and overhang is 15 mm. The supplied counterweight accommodates phono cartridges from 4 to 12 grams and the accessory counterweight accepts cartridges of 9 to 19 grams. The magnesium alloy headshell weighs just 13g. The PD-151 is now shipping at a suggested retail price of $3,895 (in the US market).